Carrying over 4 million passengers a year and serving over 80 business and leisure destinations, East Midlands Airport has become one of the nation’s biggest regional transport hubs. With operators including Thomas Cook, Ryanair, Jet2, Flybe and more, East Midlands Airport has a great number of ways to get you where you want to go and with your East Midlands Parking voucher code you'll be enjoying the service for less..
With 6 car parks all within easy reach of the terminal, if you’re flying with East Midlands, you won’t have to worry about where you’re parking the car. They also offer a number of upgrades with their parking, including the Express Lane which lets you breeze through security and head straight for the departure lounge. The exclusive Escape Lounge, allowing you to swap the hustle and bustle of departures for more relaxed, stylish surroundings. Enjoy complimentary food, drinks, wi-fi, newspapers and get some rest in before take-off! Fly East Midlands and get your trip off to the best possible start. Check out the East Midlands Parking Promotions page and you could save even more on your next trip! You can park in Short Stay, Long Stay 1 or 4 or Jet Parks Plus. Long Stay 4 and Jet Parks Plus require use of a bus, but these are DDA compliant. You can generally change your booking up to 6 hours before your parking commences. However, some products may not be ammendable or may require 24 hours notice. Check your product details. For pre-booking, EMA accept Visa, Mastercard, Delta, Maestro, American Express, JCB, Electron and Solo. Credit or pre-paid cards incur a £1.50 card fee. Debit cards do not. At the car park all major cards as well as cash are accepted. A £1.50 fee applies to credit cards. Cancellations must be made 24 hours prior to your scheduled booking. You’ve sorted your flights and hotel for your trip away, but it’s time to find somewhere to park the car! Luckily, it doesn’t have to be a pain, East Midlands Airport Parking has a range of options for all budgets and needs so you can tick parking off your list. An East Midlands Airport Parking discount code could make this cheaper than you’d think, and leave you with more money to spend on your much needed trip. There is a whole range of different parking options depending on your needs. Short and Long Stay are great value options depending on the length of your trip, and both are a short distance to check-in. Express Park is ideal for business travellers in a hurry and what a great option if you’re flying on a budget when you use an East Midlands Parking promo code? There’s even a Meet & Greet option for the ultimate hassle-free airport arrival. For sheer value and convenience, Meet & Greet is hard to beat! Simply book your space, turn up and let the East Midlands team do the parking for you. Then, on your return, your car will be waiting close by. 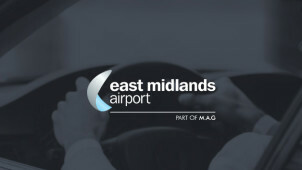 An East Midlands Airport Parking promo code could save you money on your Meet & Greet package. Situated close to the terminal and perfect for business or leisure, Meet & Greet is the ultimate stress-free way to start your trip.